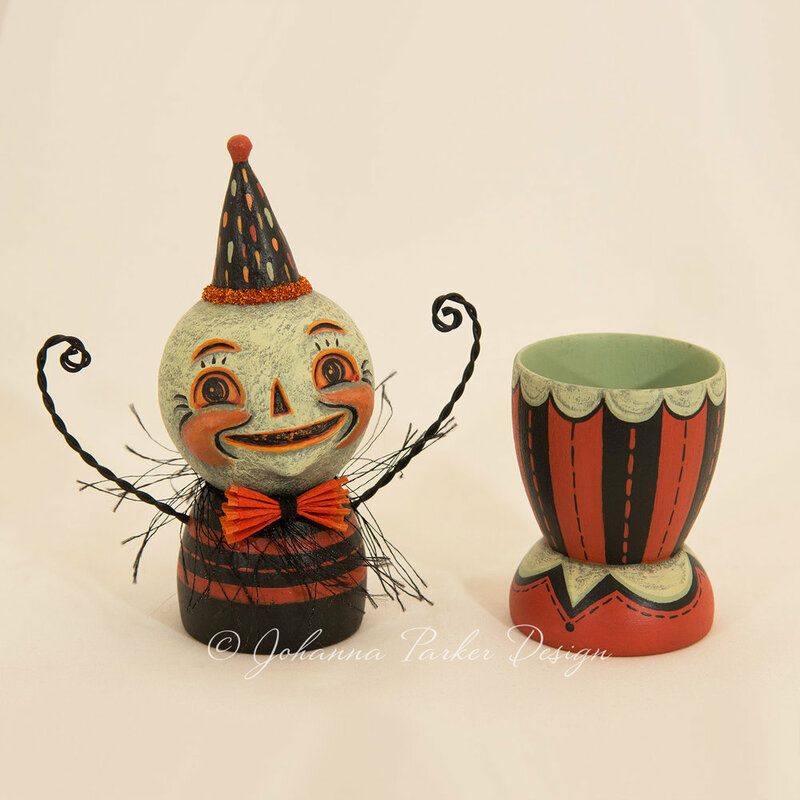 (H.) "Green Jack Egg Cup" - SOLD - Thank you! 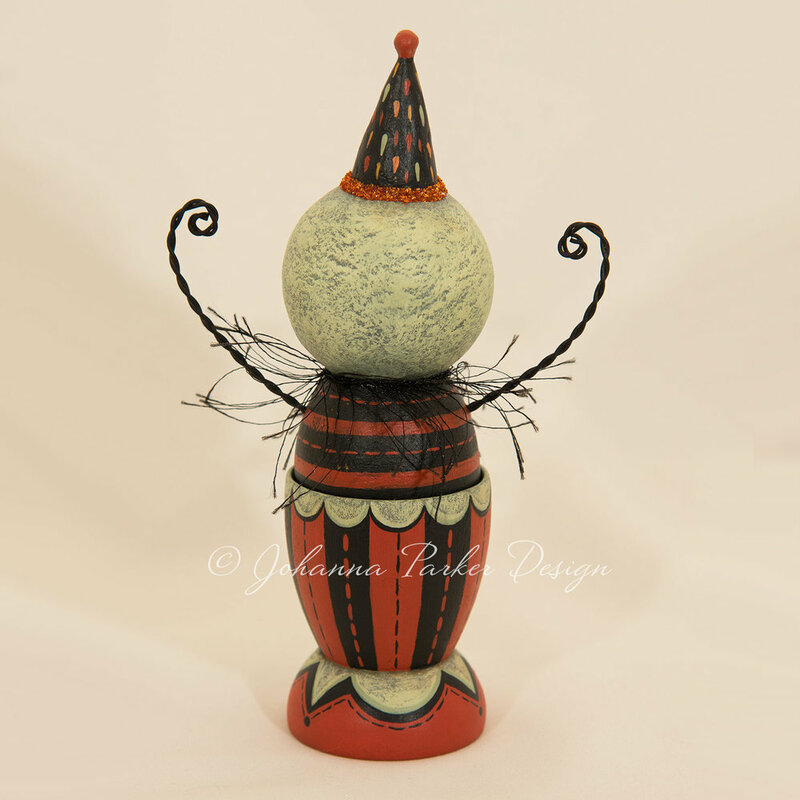 Green Jack Egg Cup is a sculpted and hand painted papier mache pumpkin character, nestled in a painted, wooden egg cup. Recessed facials features, carved like a jack-o'-lantern, give this guy a happy glow. He wears a vintage crepe paper bow tie and dons a glass glitter brimmed party hat. A soft collar wisp and twisted wire arms add interest to this sweet piece. What a jolly fellow!... A Johanna Parker Design original! To purchase, please send an EMAIL and include Letter H in your title. Thank you!